This is a copy of Clarity Meter's Homepage, hosted on Clearbird's server (Nov. 2003). Check the original Clearingtech.net for updates. The Clarity Meter is a revolutionary new bio-monitor for use in the various modern processes of personal transformation. 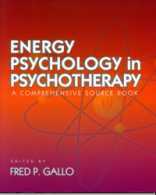 It is used for discovering and handling suppressed or repressed thoughts, memories and impressions which impact upon people's behavior and feeling of well-being. 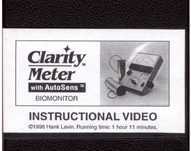 The utilization of the Clarity Meter can significantly enhance the speed and effectiveness of many kinds of developmental therapies, regression techniques and meditation procedures. Furthermore, its usefulness and versatility in the experimental exploration of the human thought process is unparalleled. 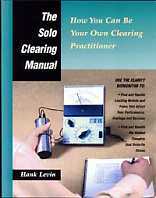 The Clarity Meter far surpasses other meters used for simple psychology demonstration purposes and clearing. It is the culmination of over fifty years of technical development in bio-monitors used in personal development techniques. It was designed to give the most premium performance, reliability and versatility available.